MIAMI (March 18, 2018) - The Miami FC 2 played its first-ever match on Sunday morning, beating Weston FC 5-0 in a preseason friendly at Bobcat Field at St. Thomas University. Both teams took a bit of time to settle in, with both enjoying short spells of possession. But Miami would fire the opening salvo, pulling ahead 1-0 on a cool Vincenzo Rennella finish, who made a slick turn and caressed the ball into the bottom right corner of the net. Wingers Coy Craft and Don Smart put constant attacking pressure on Weston, with each getting good shots on goal shortly after. Smart's hard work on the offensive end would pay off in the 25th minute, when Tomas Greco's quickness earned a foul for Miami just outside the box. Smart stepped up to take the free kick and curled the ball past the outstretched goalkeeper into the back of the net to put Miami up 2-0. Miami got off to a blazing start in the second half. Stefano Fanfoni found room to work with on the left wing and whipped in a cross that found Dylan Mares, who powered his header through the goalkeeper's save attempt to make it 3-0 in favor of the Orange and Blue. Just 10 minutes later, Fanfoni would be on the opposite end of a cross from the right wing by Angelo Rubiano. Fanfoni tracked the ball in the air and unleashed a powerful half-bicycle kick that skipped into the bottom right corner of the net for the fourth goal of the match. In the 62nd minute, a Miami FC veteran duo would combine for the fifth goal. Ariel Martínez sent in a perfectly weighted through ball into the path of Jaime Chávez, who snuck his effort under the goalkeeper. The match would end 5-0 in favor of Miami FC 2. 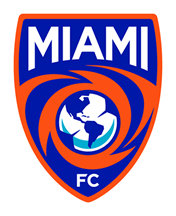 Miami has three preseason matches left before opening their NPSL season with an away match against Miami United FC at Milander Park in the Magic City Clasico.